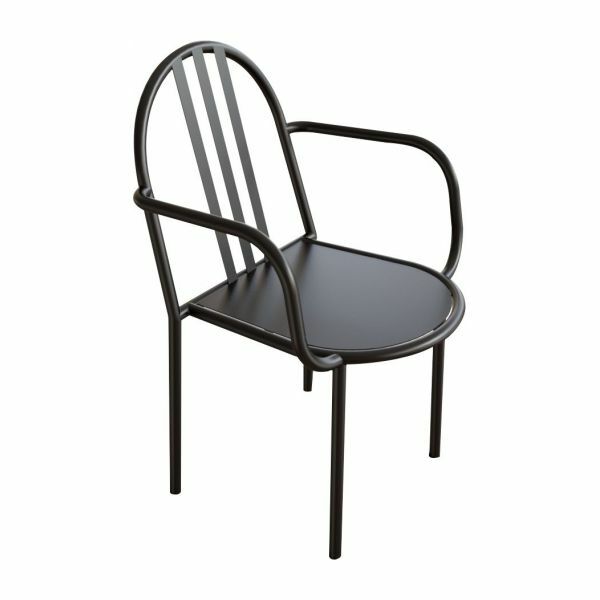 Black metal chair with armrest. Re-release of timeless pieces by the great designer Robert Mallet-Stevens at accessible prices. 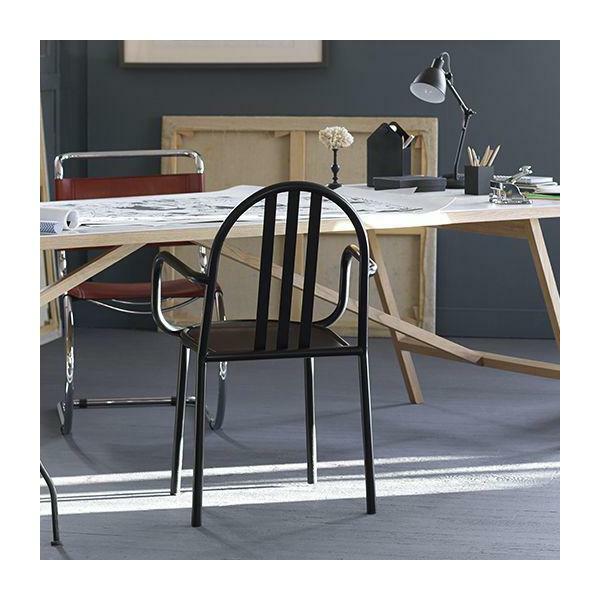 Exceptional iconic pieces of the Bauhaus movement with a clean, functional design. "Plain surfaces, sharp edges, distinct curves, polished materials, straight angles, clarity, order. It is my logical and geometric home of the future."